My parents were born and brought up in New York City. My father was trained as an electrical engineer and my mother was an elementary school teacher. They were the children of Jewish immigrants who had come to the United States from England and Lithuania in the late 1800’s. One of my great grandfathers had actually settled in the United States considerably earlier. When I was born on January 20, 1931, my parents lived in a small suburban town, Rye, New York, just outside New York City. My father commuted by train to his job at a small but growing electrical manufacturing company in the city. During the great economic depression of the early 1930’s we moved to the city for a few years to save money, but eventually moved back to Rye, where I received my early education. As time went on our family circumstances improved as my father advanced in his company, which was expanding rapidly, and eventually became its president. As a child I was fascinated by living things in the fields and along the coast line near our home. I was constantly roaming around collecting frogs, fish, salamanders, snakes and worms. Starting at the age of six, I spent every summer away from home at various children’s camps in New England, giving me further opportunities to explore this interest. My other childhood passion was railways. I managed to accumulate an extensive collection of railway timetables covering the entire U.S.A. and became a young travel expert. When I was a very young child my father gave me a set of spring-operated “wind-up” trains. The first thing I did was to insert the tracks into the electric socket in our kitchen. A shower of sparks flew all over the room. Fortunately my parents were indulgent and everyone laughed about the incident. As a young teenager I became very interested in meteorology. I kept my own weather records and subscribed to the daily weather map issued by the U.S. weather bureau. One day I asked my father about a book in his library entitled The Mysterious Universe by Sir James Jeans. He indicated that no one really understood what was in the book. I immediately picked up the book and began to read it. There was a beautiful discussion of the cosmology known at that time, which I found totally fascinating. I think that this book really sparked my interest in physics. The high school in Rye had an excellent program. There was emphasis on acquiring the necessary basic skills in writing and mathematics through extensive exercises but we were also taught to think for ourselves. I owe a considerable debt of gratitude to my teachers. Of course most young boys during that time wanted to be sports heroes and I was no exception. I was a reasonably good short distance runner and so was active on our school track team, as well as a participant in our high school football program, but there was no chance that I would ever be a sports hero. Following graduation from high school in 1948, I attended Harvard University where I became a physics major. Having grown up in a small town, I found Harvard to be an enormously enriching experience. Students in my class came from all walks of life and from a great variety of geographical locations. I still stay in touch with many of my college friends. At one time during my college years I considered the possibility of a career in medicine. With this in mind I took some of the pre-medical courses in addition to my physics major. I especially enjoyed the course in organic chemistry, but in spite of my early interests, I did not find the biological sciences fascinating. Therefore I gave up the idea of a career in medicine and continued with my studies of physics. My main extracurricular activity was the Harvard Yacht Club. In June 1950 a group of us sailed in the Bermuda race from Newport, Rhode Island, to Hamilton, Bermuda. It was a wonderful adventure. After 3 1/2 years at Harvard, I had enough credits to graduate in January 1952. In April 1952, I entered the U.S. Army for 22 months and served at various posts in the continental United States during the final stages of the Korean War. One night during this period I was serving as corporal of the guard. One of the guards was a young soldier named Herbert Fried. It turned out that he had been a graduate student at the University of Connecticut with Professor Paul Zilsel who specialized in the theory of superfluidity. We had a wonderful discussion about superfluid helium 4. Later on Herbert Fried became a Professor of Theoretical Physics at Brown University. Following my honorable discharge from the army, I entered the University of Connecticut in February 1954, partly as a result of my discussion with Herbert Fried, and partly because my parents had moved to Connecticut, so it was now my home state. The one and one-half year stay at the University of Connecticut was extremely beneficial. It gave me the chance to study physics in a relatively relaxed setting and to learn about experimental physics. My first project was to build an ionization gauge control circuit for Professor Edgar Everhart’s Cockcroft-Walton accelerator. In those days vacuum tubes were the active components in electronic circuits. I can still recall the warm orange glow of the vacuum tube filaments and the cool blue glow of the thyratron tubes. In assembling and trouble shooting my circuit, I can also still remember all the 300 volt electric shocks from the vacuum tube power supply. While at the University of Connecticut, I met my lifelong friend John Reppy who was later to become my colleague in our Cornell low temperature group. John was doing experimental research on superfluid liquid helium with Professor Charles Reynolds. It was Professor Reynolds who really excited my interest in superfluidity and low temperature physics. In addition to John Reppy’s prowess as an experimental physicist, he was a rock climber and mountaineer, par excellence. He somehow persuaded me to overcome my natural fear of heights and took me on some wonderful climbs in the Grand Tetons of Wyoming and the Black Hills of South Dakota in the American west. I still enjoy hiking in the mountains. Eventually I completed my requirements for the Master of Science degree at the University of Connecticut, after which I enrolled in the Ph.D. program in physics at Yale University in the summer of 1955. My summer project at Yale was to build a mercury jet stripper for the Heavy Ion Linear Accelerator then under construction. By removing more electrons from an ion, one could increase its net charge and thus accelerate it to higher energies. Electrons from the ions were removed rather efficiently when the ions were passed through a supersonic jet of mercury atoms. Also during my first summer at Yale I met Russell Donnelly who was finishing his Ph.D. thesis on rotating superfluid helium in the Yale low temperature group with Professor Cecil T. Lane. Russ was a talented experimentalist with tremendous enthusiasm for physics. He has had a distinguished career and is now a Professor at the University of Oregon. In addition to my work on the accelerator, I enjoyed helping Russ with his experiments that summer. In a very short time, I learned a great deal about experimental low temperature physics and the life of an experimental physicist. As time went on my growing fascination with low temperature physics led me to the decision that this would be my area of specialization in graduate school. Fortunately, Professor Henry A. Fairbank of the Yale low temperature group had a position for me. Henry was an excellent mentor and a helpful and understanding thesis adviser. At that time, the isotope 3He was first becoming available. 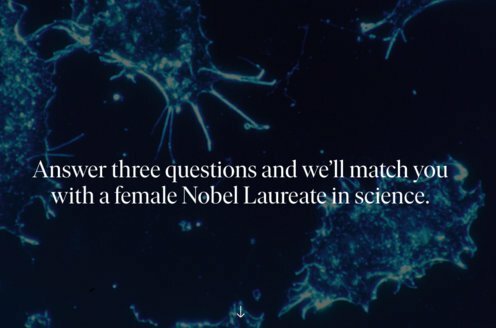 My thesis topic involved research on liquid 3He and is discussed in my Nobel lecture. I look back upon graduate school as being a very happy period in my life. The chance to be thoroughly immersed in physics and to be surrounded by friends pursuing similar goals was a marvelous experience. It was totally rewarding to observe exciting new effects in an apparatus that I had designed and constructed with my own hands. In January 1959, I completed my research at Yale and joined the Cornell University faculty. My responsibilities were to set up a research laboratory in low temperature physics and to teach courses in the physics department. I was also responsible for the operation of our helium liquifier. Shortly after arriving at Cornell I met my wife, Dana, who was a Ph.D. student in nutrition and biochemistry. She was born and raised in Thailand. Her father originally came from Copenhagen and her mother was a native Thai. For more than 36 years she has been a wonderful companion. Without her loving support my career would certainly have been far less successful. We now have two grown sons who, with their wives, joined us at the Nobel celebration in Stockholm. Over the years I worked my way up through the ranks to the position of Professor in the Cornell physics department. Meanwhile our low temperature group increased in size with the addition in the 1960’s of Professors John D. Reppy, who had also been a graduate student at Connecticut, and later at Yale, and Robert C. Richardson who joined us from Duke University. More recently Professor Jeevak Parpia has joined our group. Over the years our program has been very successful. Highlights, in addition to the work on superfluid 3He, include the discovery of the tri-critical point on the phase separation curve of liquid 3He-4He mixtures by graduate student Erlend Graf, John D. Reppy and myself, the discovery of the antiferromagnetic ordering in solid 3He by graduate student William P. Halperin, Robert C. Richardson and their associates, and the discovery of nuclear spin waves in spin polarized atomic hydrogen gas as part of a collaboration between myself and Jack H. Freed of our chemistry department. In addition, John Reppy and his students conducted extensive investigations of persistent currents in superfluid 4He and 3He. His experiment with graduate student David Bishop provided a striking example of the Kosterlitz–Thouless transition in superfluid 4He films. For this work John was awarded the 1981 Fritz London Memorial Prize. Jeevak Parpia has recently performed some very exciting studies of superfluid 3He in confined geometries. Other prizes awarded to members of the group include the 1976 Sir Francis Simon Memorial Prize of the British Institute of Physics and 1981 Oliver Buckley Prize of the American Physical Society. Both of these prizes were awarded to Douglas D. Osheroff, Robert C. Richardson and myself for the discovery of superfluid 3He. In addition, Robert Richardson, John Reppy and myself have been elected to the National Academy of Sciences and the American Academy of Arts and Sciences. One of the most rewarding aspects of an academic career is the opportunity to work with graduate students, and to watch them develop after leaving graduate school. 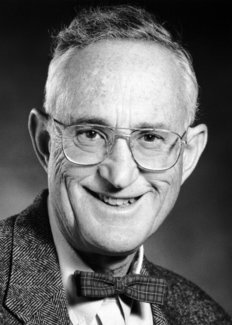 My fellow laureate, Doug Osheroff, is a prime example of a scientist who was extremely successful as a graduate student but who later had a distinguished career at AT & T Bell Laboratories and at Stanford University. Most of our other students have had very responsible and rewarding careers in science and technology. It is a special pleasure to thank my students and my colleagues for their role in our success.